Audio alerts for and info about USB connections. Is there a better alternative to USBleat? Is USBleat really the best app in Entertainment category? 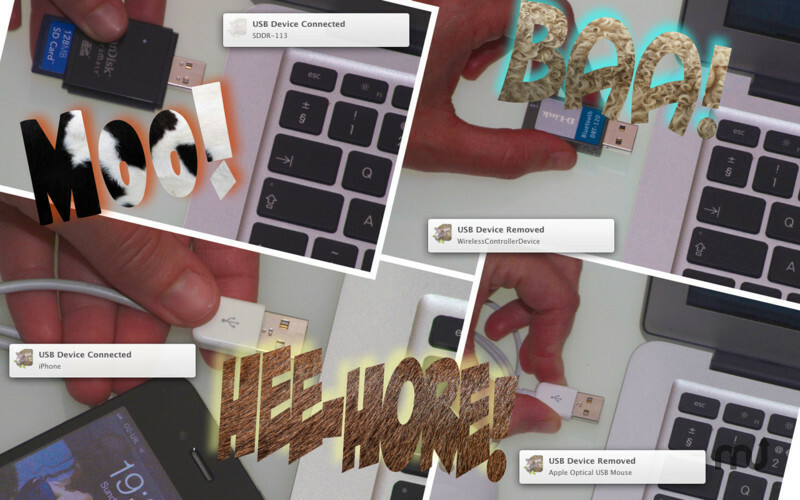 Will USBleat work good on macOS 10.13.4? USBleat is a utility which is both useful and fun. It has two main functions. The first is to alert the user when a USB device is connected or disconnected. In the basic version of USBleat these notifications are farmyard noises. It can also conveniently provide information about connected USB devices. The free version of USBleat will only provide information on one device at a time and it will forget a device as soon as it is disconnected (this means that its information window will disappear when a device is disconnected). USBleat needs a review. Be the first to review this app and get the discussion started! USBleat needs a rating. Be the first to rate this app and get the discussion started! A future version of USBleat, USBleat Pro will be configurable by adding plugins - plugins which will allow virtually limitless notification options. The name of the device could be spoken, for example, or custom alert sounds recorded. 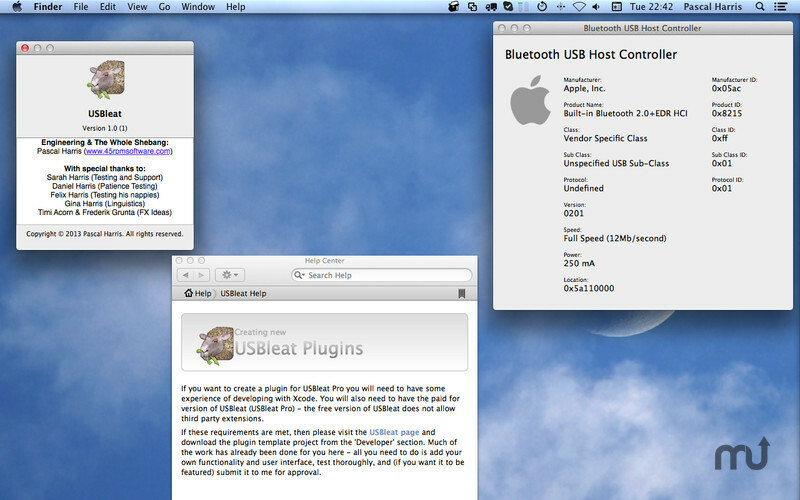 Since third parties can develop plugins for USBleat Pro, perhaps the notification will take a form that I haven't imagined. 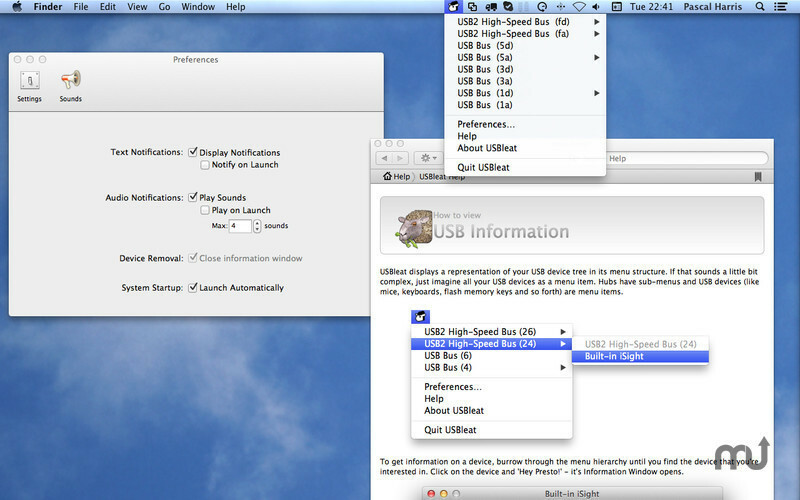 USBleat Pro will be able to have as many USB information windows open at any time as you like, which will be handy for comparing two devices side by side. In addition, you will be able to set USBleat Pro to remember disconnected devices so that their information windows remain open even after a device is disconnected.